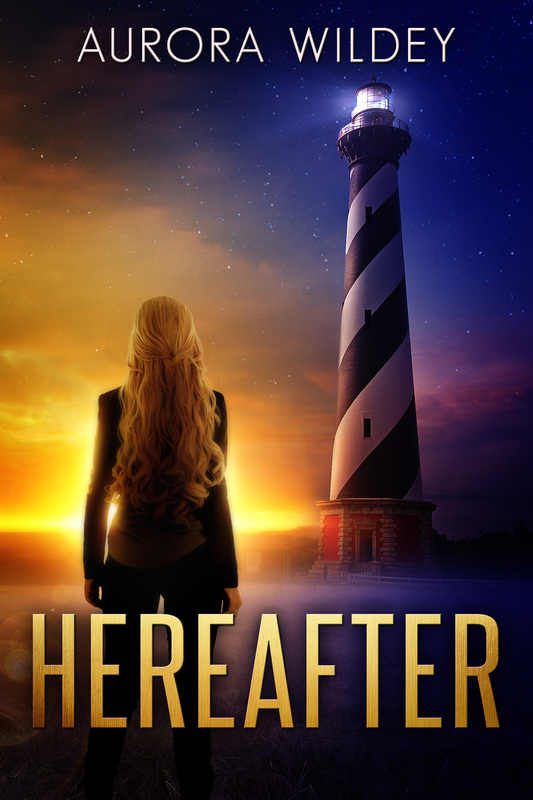 My debut novel Hereafter has finally been released and is available for purchase in hardcover and e-book formats from most major retailers. There will be a softcover edition available very shortly once a technical glitch with the distributor has been resolved. If you are a blogger, I am still accepting review offers, but can presently only provide review copies in digital format. Please e-mail me at aurorawildey@yahoo.com if you are interested in either reviewing my novel, or requesting an author interview. Here are links to some places that the novel is available for purchase. Please keep in mind that these retailers are far from your only option. Here are some brief descriptions of five of the central characters that you will meet in Hereafter. The blurb does give an overview of only one character, in a much bigger and more complex story, so I wanted to give some more detail about some of the other characters as well. I will be making more posts over time, closer to and after the release date about the world of Hereafter and thoughts about the story and the people that reside there. 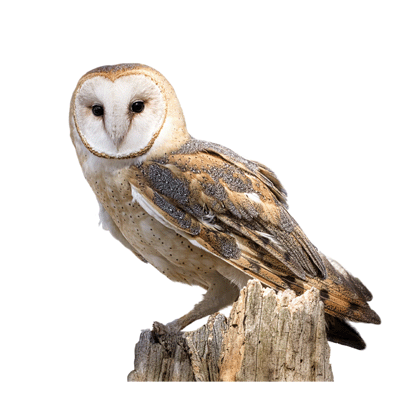 Introverted and lonely, Serena has always dreamt of finding love and a place to belong. 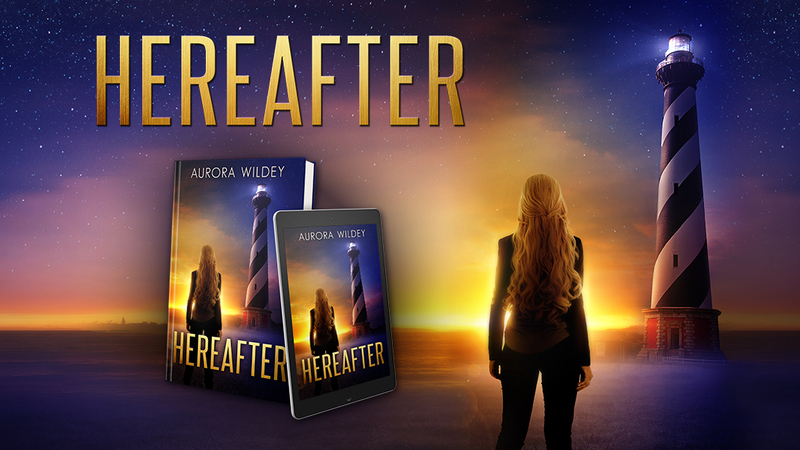 Her abrupt arrival in the hereafter appeared to have laid waste to those hopes and dreams. Will she be able to move on, or will the pain of her past hold her back from the happiness she seeks? With knowledge well beyond her years, Lucy’s childish appearance does not belie her true age or her wisdom. Appearances can be deceiving in a world where life is lived in reverse, and childhood is the end, and no longer a beginning. Can a man from the distant past adapt and live in a world far removed from any he has ever known? Will he be able to let go of the sadness and rage that drove him to his grave in his last life, and win the heart of the woman he loves? Stern and guarded with her emotions, Jane’s life has never been an easy one. As a leader, she projects the desire to bring a sense of order, in what she sees as an otherwise chaotic world. Her actions speak far louder than her words. Kind of heart and idealistic, Luke is as unafraid to stand up for what he believes in the hereafter, as he was in his life before as an army medic. He knows that doing what is right does not always mean doing what comes easiest. Some things are worth standing your ground for. Mark your calendars for August 24th! Hereafter finally has an official release date of August 24th, 2017. It will be published through KCEditions, and available for purchase worldwide, in hardcover, softcover and e-book formats. We will be doing the official cover reveal very soon. The new banner of this site is a small preview of what’s to come with that. Deranged Doctor Design did a beautiful job on the cover, and I wanted to give them some well-deserved credit for their work. I still have lots of bookmarks available, and will be posting a mailing address soon, where you can request an autographed one free of charge, by sending me a self-addressed stamped envelope. Who would have thought there would be a waiting list for a PO Box? I am still in the middle of proofreading and last minute tweaks, trying to make sure the finished novel is the best I can possibly make it. Seeing it in print does help when spotting those tiny flaws that are easily overlooked when reading it on a computer screen. I am crossing my fingers that all the hard work will be more than worth it. I’ve been doing a lot of work on the site today, trying to get it ready for the release of Hereafter. Unlike most big-name authors, I maintain my own site, and add my own content. I’m a little too frugal to pay others to do simple things I can do well enough on my own. I just got done participating in Camp NaNoWriMo, as part of Silver Beaver Cabin yet again. I met my goal for writing, but got far more done in the way of revision during this last month. Writing isn’t easy, it takes patience and persistence even more than it does talent. The novels that you read are the result of untold hours of rewrites and revisions. No one would dream of publishing that first very rough draft. Writing, like any skill, only gets better with practice. I’d also been asked recently if Hereafter was written with any particular ‘soundtrack’ in mind. The answer would be yes. There are definitely songs that inspired certain parts of it. I have made a youtube playlist, and you can listen to it HERE. 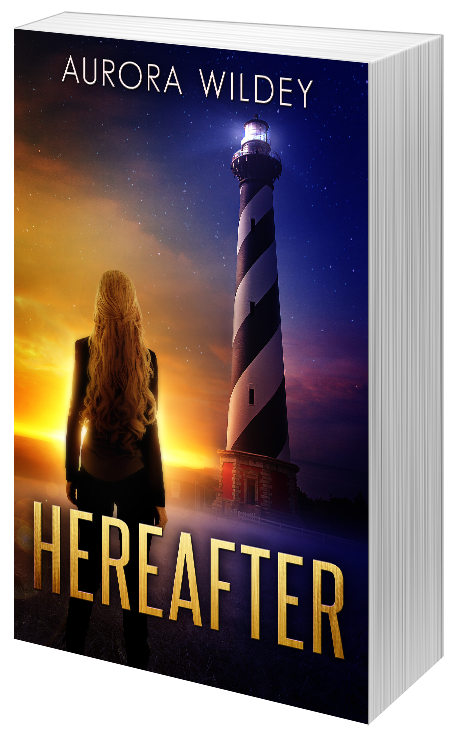 I’m hoping to have the exact release date for Hereafter soon, and I will keep you posted as soon as I know when it will be up for preorder. I am presently looking for bloggers interested in receiving advance copies for review purposes. Please email me at: aurorawildey@yahoo.com if you are interested. Sorry in advance for my not-so-great photography job, they do not photograph so well in the dim light indoors, and it was raining far too heavily to try and take a photo outside. Things are presently going well, and I am participating in Camp NaNoWriMo this month. My project is a prequel novella, that follows Lucy during the years preceding the events of Hereafter. Wish me luck. I hope that all of you that are participating have a fun and awesome experience. The novel I have been pulling my hair out over the last 3 years is finally complete and off for final editing. (yes with a real live editor!) I am a bundle of nerves about this in so many ways. I don’t think I’ve been this nervous about anything in quite some time that hasn’t involved childbirth or major surgery. I still have that voice in the back of my head that only wants to nitpick every little detail apart. Truthfully for once in my life I just want a finished book in my hands. I’ve gotten so used to people just shaking their heads at me when I tell them I’m a writer, but I have no book out there to ‘prove’ it. I’ll truthfully be happy if one person I don’t know buys the novel and actually likes it. I don’t care about making money, or even being on any bestseller list. It has been a dream of mine for many years, just to hold a finished book in my hands and be able to say I wrote it. I’ve thought about it awhile and I think maybe it’s time for a blog dedicated solely just to writing. I used to have one, but I must admit, I was very bad at actually keeping it up to date. I am hoping to improve on this. Besides being a writer, I am many things. I am a wife, a mother to a toddler, one teenage daughter and two grown children. I am also non-furry mama to three cats. I like to write, but as with many people, the challenge is simply finding the time to do so. Life often gets in the way of creativity, and many other things as well. Besides, this gives me yet again another place to back things up, NaNoWriMo kills computers. I don’t think I’ve finished a novel where I haven’t had a computer die on me in the process. Wish me luck, I am still trying to complete the novel I was working on through camp. Why does everything I write have to be so complicated?